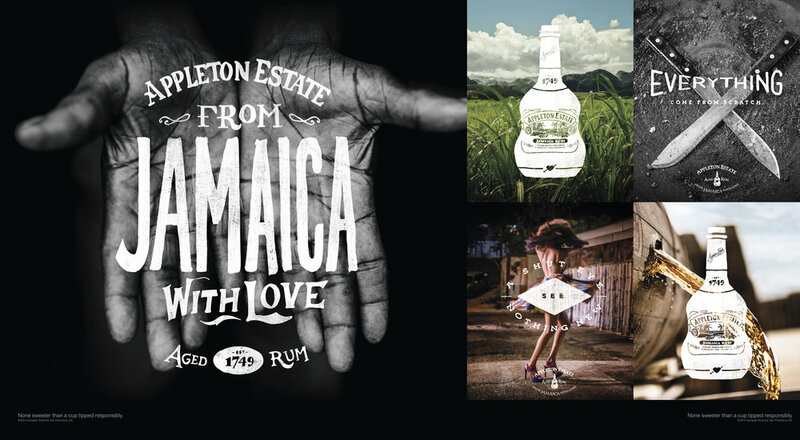 Another great example of our partnerships with ad agencies, we worked with Argonaut again to help them create the brand creative for Appleton Rum. To concept it, they sent Matt and Luis down to Jamaica for the weekend and they came back with a film and the line - From Jamaica with Love. This film set the tone of the entire campaign. We went back to Jamaica and directed, filmed and captured photography for 2 brand spots and print and outdoor ads. Luis also created the hand drawn type used in the creative.